The CORR family are not central to our family story, but since their photos have shown up in the family archives, I thought them worth sharing with others who may know more. Besides, William Richard CORR was the solicitor who handled much of the family's legal work (it would be worth checking the PRONI holdings of the CORR & O'CONNOR archives to see if more details on the JACKSONs surface). Also, the CORR family members intermarried with DONALDSONs and possibly other family members and some of them also lived at Urker House - very close to Urker Lodge where the main JACKSON part of the family lived. Beneath the photos and their captions are other references to CORR family members that I have found in our family archives and other research. Of particular interest to me is the fact of the involvement of Susan DONALDSON in the lace industry. NOTE: Thanks to Thomas JACKSON of Bangor, Co. Down for the use of these photos. Perhaps someone can help me out here. 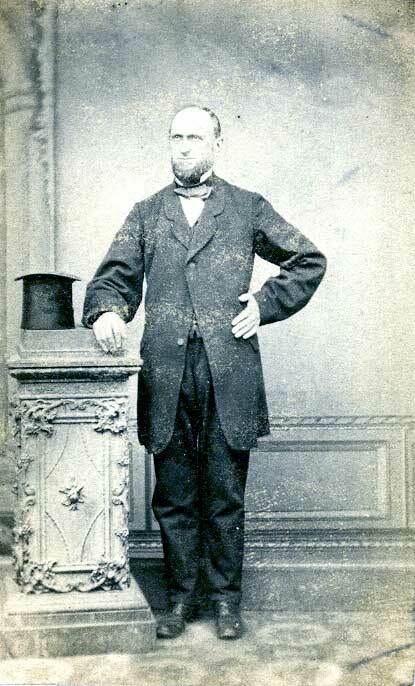 This photo is merely identified as "Mr. CORR". Is he Hugh? William? Thomas? This photo is of Mrs. CORR. My guess is that she would be the wife of William Richard CORR, solicitor and sometimes resident of Urker House. 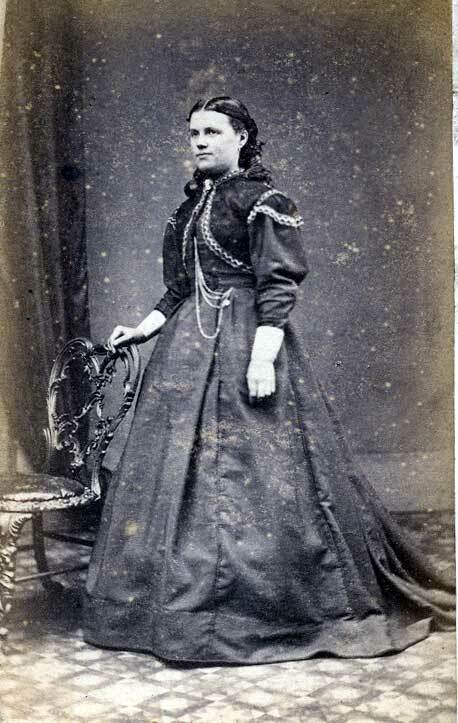 This photo is identified as "Mrs. CORR , Crossmaglen". Taking something of a leap of faith, I would guess that she may be the wife of Hugh CORR, a general merchant in Crossmaglen. 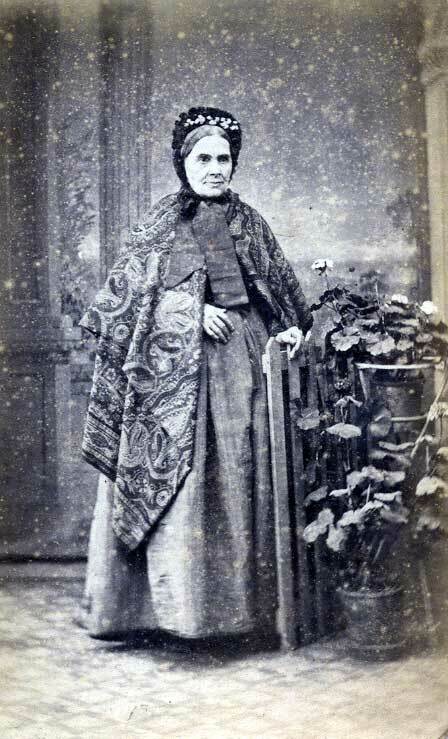 This photo is identified as "Mrs. Donaldson - May MANDER's mother". I am guessing that her maiden name was CORR and that she was the Susan DONALDSON who was resident at Urker House and who worked as a lace merchant. She was apparently a sister of Hugh CORR. In loving memory of John Thomas Simpson who died Feb 3rd 1929 aged 71 years "Rest in the Lord" Frances Jane Simpson wife of Thomas John Simpson who died November 10th 1933 in her 86th year. If this is the right person, she would have been born in 1847. "He giveth his beloved sleep" Psalm CXXVII - II. this obelisk was erected by his four surviving children. In loving memory of William Richard Corr MA LLB solicitor who fell asleep Nov 6th 1911 aged 60 years. "Just as I am O Lamb of God I come". "Thanks be to God which giveth us the victory through our Lord Jesus Christ" 1 Cor XV 57. 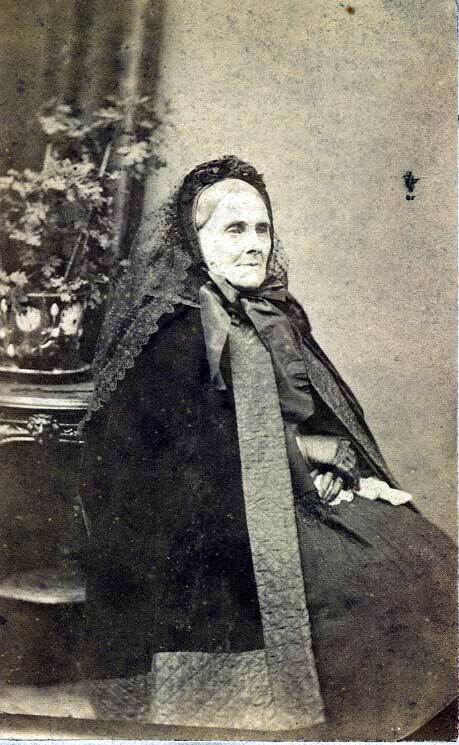 Frances Jane Simpson wife of Thomas John Simpson who died November 10th 1933 in her 86th year. 1880, July 7th Eliza Jackson to son Thomas JACKSON. Mrs. Corr another good woman is also gone; she died last week. 1884, June 4 Eliza Jackson to son Thomas JACKSON. 1885 December 2. Eliza Jackson to son Thomas JACKSON. 1887, Nov 29 Eliza Jackson to son Thomas JACKSON. 1887, Dec 21st. Eliza Jackson to son Thomas JACKSON. The trustees of Cavananore engaged his services. Willy Corr has taken the temperance pledge, and is doing his best to make others do so. 1893, May 24 Eliza Jackson to son Thomas JACKSON. Willy Corr is still an invalid, but able to be out of bed after long lying. 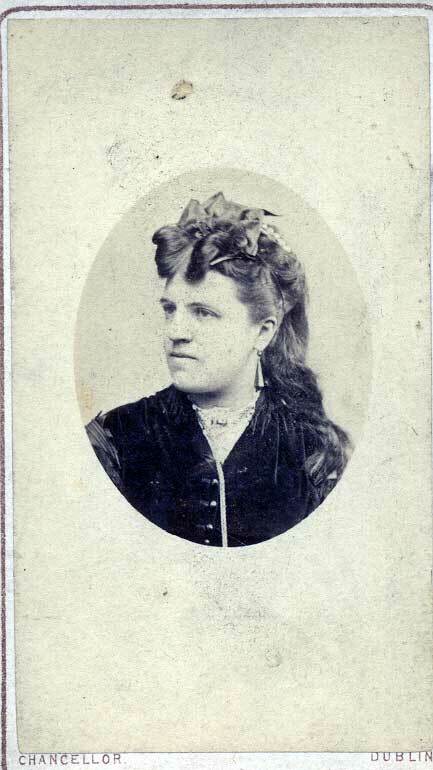 1894, March 28 Eliza Jackson to son Thomas JACKSON. 1896, March 11 Eliza Jackson to son Thomas JACKSON. William CORR, solicitor, Crossmaglen was witness to the 1888 will of David JACKSON. In 1906, Mrs. Susan Donaldson was listed as a lace merchant resident at Urcher. She may have been a sister of Hugh CORR. She had a daughter May DONALDSON (B. Dec 14 – I don’t know which year) who married MANDERS. Hugh CORR was a general merchant and William R. CORR was listed as a solicitor resident at Urker. His office was CORR & O’CONNOR, The Square, Crossmaglen. Hugh & William may have been brothers. In the 1911 Census, Susan Donaldson was resident in a home in Urcher that was owned by William R. CORR. She lived there with two other unnamed people. 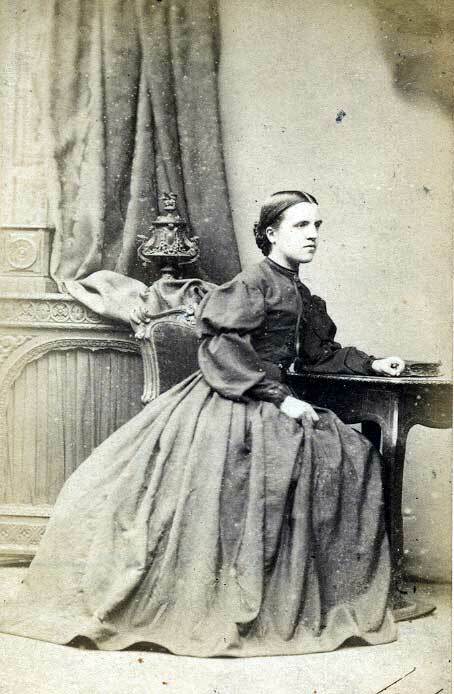 In the same census, Mary GRIFFIN née JACKSON, a sister of Sir Thomas JACKSON was living at Urcher Lodge. It is possible to infer a similar level of social class between the two households. Both had a total of 11 “offices and farm steadings”. Although Urcher Lodge is classed as a 1st class house while the other house (I presume Urcher House) is described as 2nd class, this seems to have been determined by the fact that Urcher Lodge had 14 windows while the other abode had 11. Urcher was likely smaller as it had 9 inhabited rooms compared to the 12 inhabited rooms of Urcher House.